One of the unique features of the human face is the ability to express emotions through animation. There are numerous muscles of facial expression that we use thousands of times every day. When certain muscles are hyperactive, they result in unattractive features like the frown muscles causing an angry or serious look. The repetitive movement of the muscles of facial expression is transmitted to the overlying skin. As the skin memory builds up over time, permanent wrinkles start appearing like the frown and smile lines. Botulinum neurotoxin, or Botox®, causes local paralysis or weakness when injected into the muscle. As certain muscles are weakened, this results in a softer and more relaxed appearance of the face. In addition, certain desired features can be achieved like widening and elevating the brows by deactivating the muscles responsible for pulling the brows down. Eliminating or improving the wrinkles that appear with animation gives the face a smoother and more rejuvenated look. During your first consultation, Dr. Alghoul will study your face and analyze how you animate. Based on your desired goals, a treatment recommendation will be made. The number of units used depends on the strength and bulk of the treated muscle and number of areas treated. The most commonly treated areas are the frown lines, forehead, and smile lines (crow’s feet). It is advisable to abstain from taking aspirin or non-steroidal anti-inflammatory medications to minimize bruising. Dr. Alghoul personally performs the injection treatment. Treatment is usually performed during the first visit. It takes six to ten days for the full effect of the treatment to show. Minimal bruising may occur and resolves over a few days. It is preferable to come back for a follow-up visit in two weeks to evaluate the treatment effect and determine whether adjustments are needed in the number of units administered and location of injection. 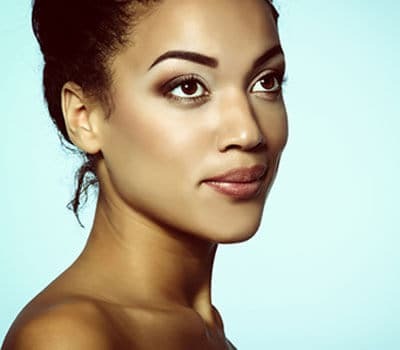 If you’d like to schedule a consultation with Dr. Alghoul to discuss Botox treatment and how it can rejuvenate your facial appearance, please call (312) 695-3654. During your consultation you can also learn about the dermal fillers that Dr. Alghoul offers for facial rejuvenation.